The Spirit includes in our fellowship people we normally wouldn’t include, and the apostles proclaim inclusion and freedom. Peter has a vision from God that leads him to understand God is doing a new thing, inviting him to move beyond the familiar boundaries of Jewish law and practice. In response to that vision, he follows God’s leading — “the Spirit told me to go with them, and to make no distinction between them and us” — and goes to the house in Caesarea where some Gentiles are gathered. Peter’s story convinces the leaders of the Jerusalem church. “When they heard this, they were silenced. And they praised God, saying, ‘Then God has given even to the Gentiles the repentance that leads to life'” (Acts 11:18). God has included in our fellowship people we were once commanded to avoid, and the leaders of the church recognize that God is doing a new thing. It’s a good start, but it doesn’t last very long. It’s no accident that the lectionary appoints the passage from Ezekiel for Morning Prayer on this Feast of St. Peter and St. Paul. Like Peter and Paul themselves, the early church struggles between law and grace, and in fact we still struggle with it to this day. We refuse to hear the message of inclusion and freedom. Mortal, I am sending you to the people of Israel, to a nation of rebels who have rebelled against me; they and their ancestors have transgressed against me to this very day. The descendants are impudent and stubborn. I am sending you to them, and you shall say to them, “Thus says the Lord GOD.” Whether they hear or refuse to hear (for they are a rebellious house), they shall know that there has been a prophet among them (Ezekiel 2:3-5). It is, however, a lovely coincidence that the lesson appointed for this Monday morning (Proper 8) in the normal lectionary tells exactly the same story of rebelliousness. We do not want the freedom God intends for us, the special covenant relationship with God that saves us. We want what everyone else has. So Samuel gives us Saul, whom he has already warned us about and (with God’s grudging permission) anointed as our king. But (what a bunch of jerks!) we don’t even want the king that we chose instead of God’s freedom. Can this man save us? Of course not, as Samuel has been trying to tell us. Our apostles (whom we call bishops) still have to beat their heads against our stubbornness. Like Paul before them, they have to keep reminding us not to slip backward into law, into exclusion, into wanting what everyone else has — a secular king who will enslave and exploit them. We need our apostles to remind us to keep pressing forward into inclusion and freedom. This entry was posted in Daily Office and tagged 1 Samuel, Acts, apostles, bishops, Christ, Ezekiel, freedom, Galatians, inclusion, Paul, Peter on June 29, 2015 by Rodger Patience. In Rembrandt’s depiction of the Presentation, the aged Simeon is worshiping God in the Temple as the child Jesus is placed into his praying hands. Into his outstretched arms, onto this pillar of the earth, Mary and Joseph set the world. Just as Simeon is no mere old man, the child Jesus is no mere boy. The Word made flesh, without whom nothing was made that was made, rests in the praying arms of a strong tower, if we but had the eyes to see it. What child do you know who is more than just a child, who represents the hopes and fears of a family? What older person have you met whose strength, whose faithful wisdom, is hidden from view? The Psalmist asks the question we might ask in our blindness, and then answers the way Simeon, a pillar of the earth, might answer. This entry was posted in Daily Office and tagged 1 Samuel, Jesus, pillars of the earth, Presentation, Psalm 42, Psalm 43, Simeon, Temple, Word made flesh on February 2, 2015 by Rodger Patience. Little does Saul realize (1 Samuel 9) that while hunting for his father’s lost sheep he will find instead the crown of the king of Israel. The Lord wills to be found, and through his servant Samuel God’s word “will prosper in that for which I sent it.” Saul will be made king, and he will pave the way for David’s reign. Likewise, Stephen, “full of grace and power” (Acts 6:8), seizes the opportunity at his trial before the Council to preach about God’s salvation history being fulfilled in Jesus. God’s word will prosper through Stephen, we will learn in the next couple of days, because his stoning makes an impression on another young man named Saul. The Lord wills to be found in your life, too. Keep an eye out for his presence, and call upon him when he draws near to you. 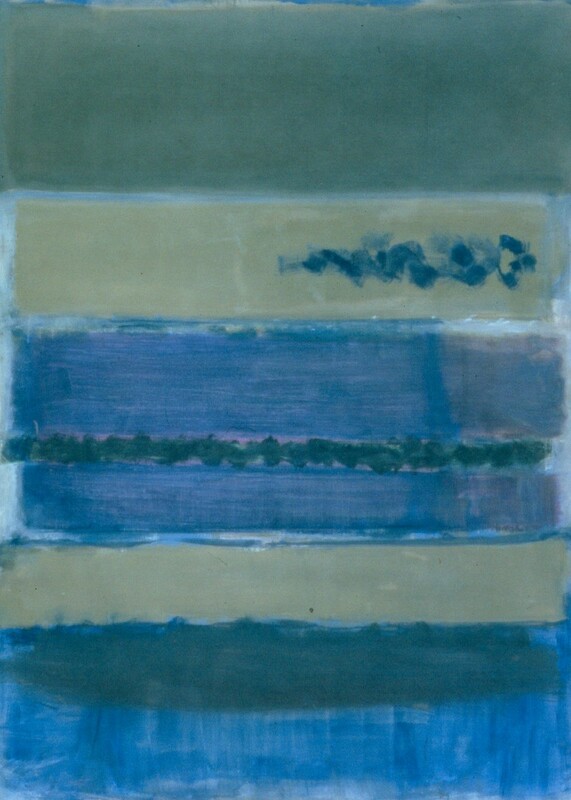 This entry was posted in 30 Mins 30 Days, Daily Office and tagged 1 Samuel, Acts, Canticle 10, Paul, Rothko, Samuel, Saul on June 28, 2013 by Rodger Patience. Lord, why have you rejected me? In our English spiritual tradition one of the landmarks is a book from the late 1300s called The Cloud of Unknowing. The author suggests that we should imagine, as it were, a “cloud of unknowing” hiding God from our senses. Our prayers should be as “piercing darts of love” aimed toward God through the cloud. The hope of this pastoral approach to prayer is that eventually we will come to love God as he is, not for the consolations he provides. God’s seeming withdrawal, and our time spent under the cloud, can help us to mature in our love for God. Our Old Testament reading this morning is a poignant story of another wise priest, Eli, counseling the young man Samuel. Though “the word of the Lord was rare in those days” (1 Sam. 3:1), Eli helped Samuel to recognize that God had something to say to him. When Samuel heard the judgment of God against Eli’s sons, he “lay there until morning,” as if under a cloud. Eli insists that Samuel tell him everything; he knows God is judging him and his sons, but he says “It is the Lord; let him do what seems good to him” (1 Sam. 3:18). Though Eli will receive no consolation, he continues to love the Lord. And Samuel? I can’t help but see the “piercing darts of love” foreshadowed when the story tells us that “as Samuel grew up, the Lord let none of his words fall to the ground” (1 Sam. 3:19). 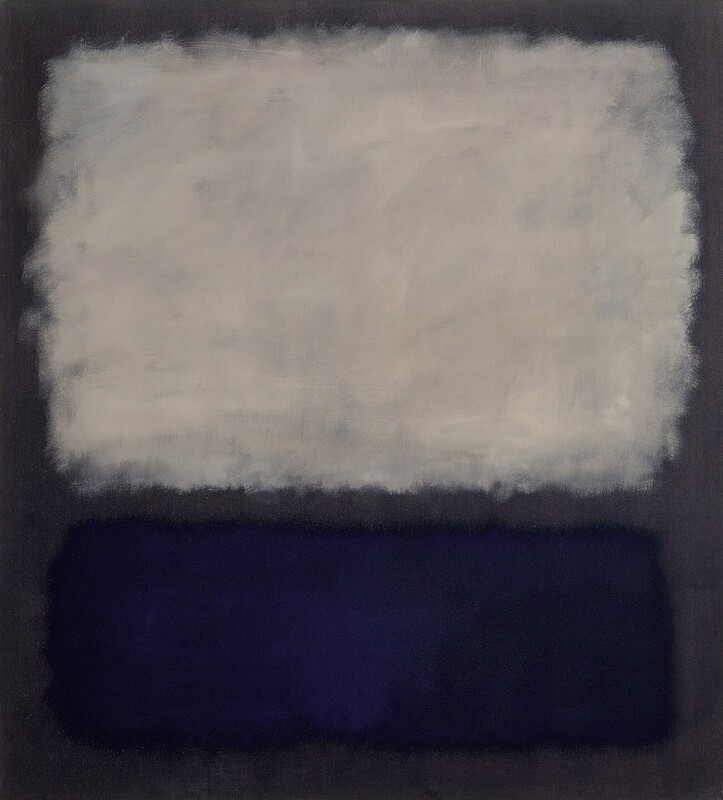 This entry was posted in 30 Mins 30 Days, Daily Office and tagged 1 Samuel, Cloud of Unknowing, dark night of the soul, Eli, John of the Cross, Psalm 88, Rothko, Samuel on June 21, 2013 by Rodger Patience. We also read in the Acts of the Apostles this morning about the followers of Jesus in the days after his resurrection and ascension. “All these were constantly devoting themselves to prayer,” we read (Acts 1:14). Their prayer, like ours, probably consisted largely of the Psalms. We minister to the Lord, in part, by singing his praise and joining our voices with all those who have gone before. One of the first pieces of business the apostles have to attend to is selecting someone to replace Judas, to bring the number of apostles back up to 12. They want someone who has accompanied them during Jesus’ ministry — “one of these must become a witness with us to his resurrection” (Acts 1:21-22). I wonder what song Matthias sang after he was chosen to be a witness? What song do you sing to honor God and witness to his love? 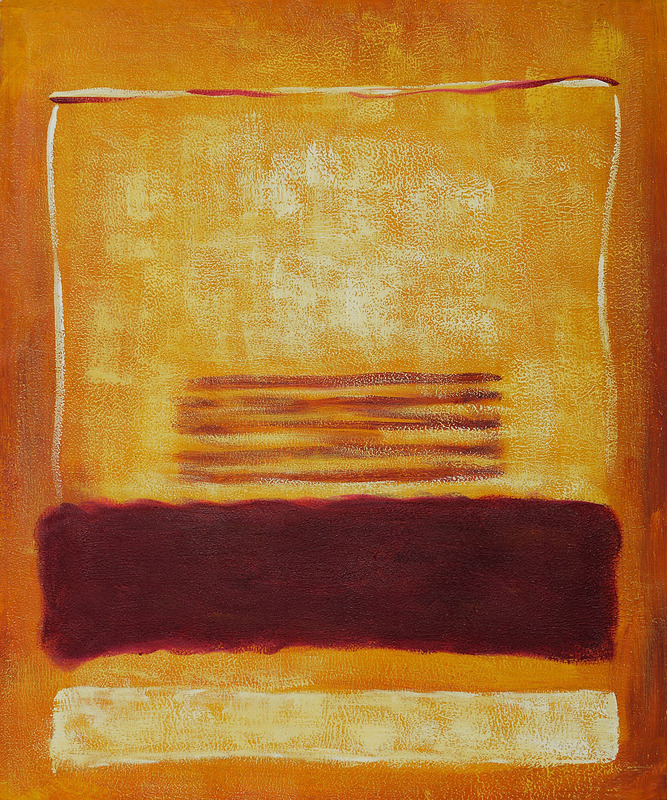 This entry was posted in 30 Mins 30 Days, Daily Office and tagged 1 Samuel, Acts, Canticle 13, Rothko on June 18, 2013 by Rodger Patience.